Larger than black rhino with males weighing up to 2300kg. They have two horns on the face with the front horn being longer. The gestation period is 16 months after which a single calf weighing about 40kg is born. 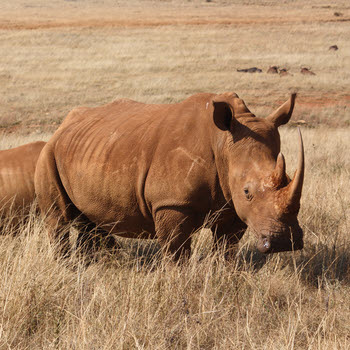 All rhino horns on this reserve have been treated against ticks and parasites and are not fit for human consumption. 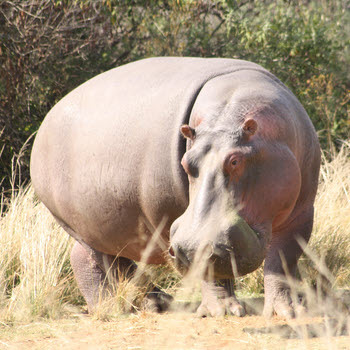 Weigh between 530 – 625 kg. 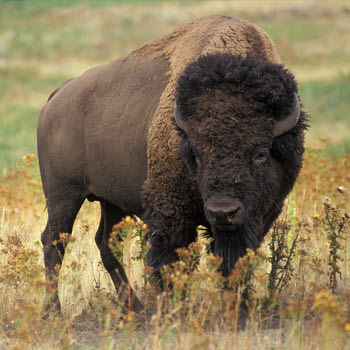 Males have larger heads, thicker necks and heavier horns than females. Eats 15 – 17,5 kg dry matter per day. Gestation 330 – 346 days. A single calf is born at any time of the year. These massive animals, characterized by their long, shaggy brown coats, have poor eyesight but acute hearing and an excellent sense of smell. The females, or cows, lead family groups. 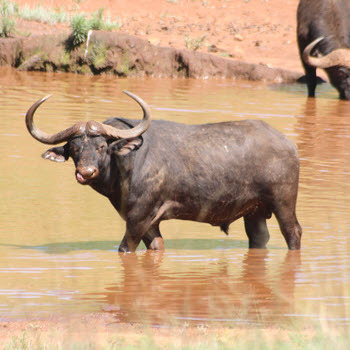 Bulls remain solitary or in small groups for most of the year, but rejoin the group during mating season. The gestation period is about 270 – 285 days with a single calf born. Weigh an average of 1700 to 2000kg. An adult can consume up to 130kg food a night. Weighs and average of 160-250 kgs. 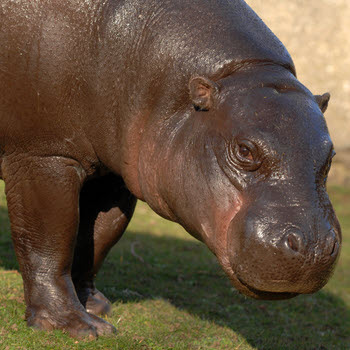 The bulk of a pygmy hippo’s diet consists of ferns, broad-leaved plants and fruits. When they are newly born, they weigh about 5 to 6Kg’s and males weigh a little more. Lifespan between 30 and 50 years.